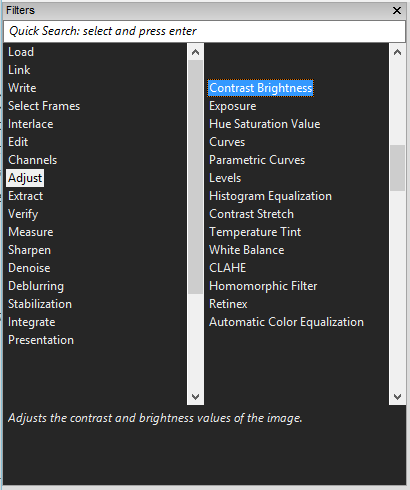 Amped FIVE Update 8222 – Adjustment Filters, Program Options and Much, Much More! 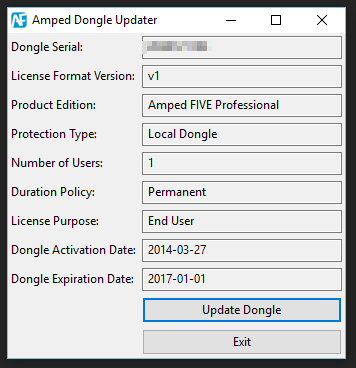 It’s Amped FIVE update time again! With so much to get through, let’s start with some new and exciting filters. Not one, not two….. but six new filters in the Adjust Category. Yes – Six new filters designed specifically to restore color or illumination to an image, and improving those taken with High Dynamic Range. 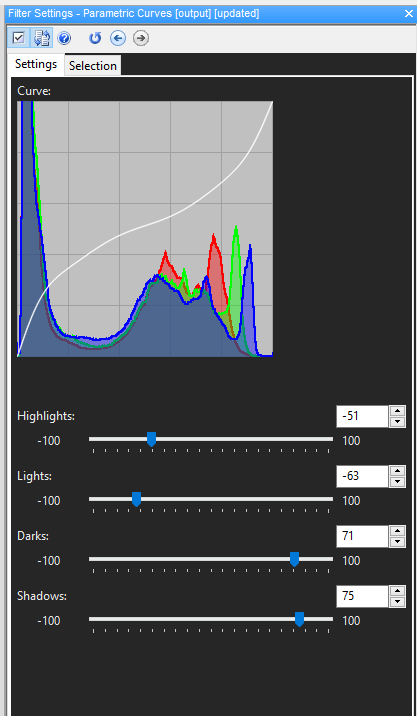 This filter gives you very precise control over the four portions of the luminance range. As you adjust the sliders, the curve will move accordingly, and a shaded area will appear in the Curve graphic. This will show you the maximum or minimum adjustment available. 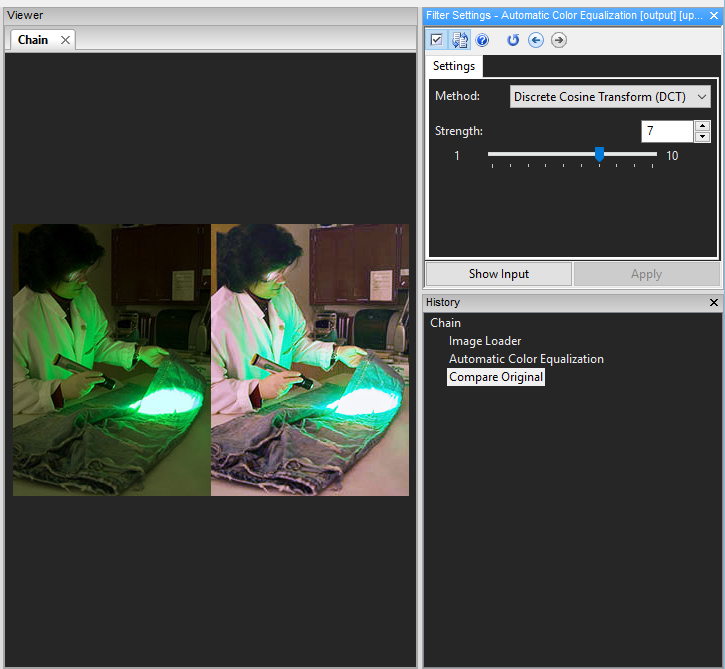 When the scene has an incorrect light source, this is one of the new filters that can be used to correct the issue. Here we have an original image (top) with an increase in red. By adjusting the sliders, the color can be removed. Whereas the previous filter had some manual adjustment, this is pretty much automated, with adjustment made only if required. It works in either the RGB or CAT02 Color space. 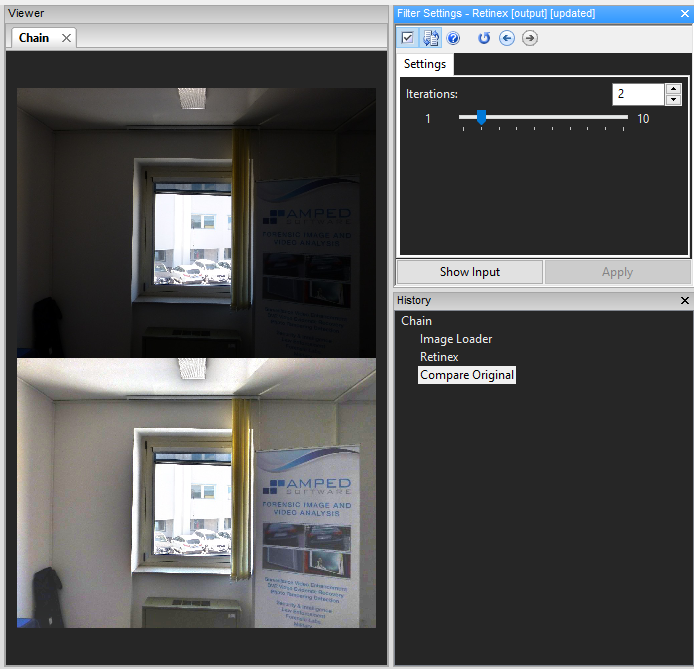 A lot of IP Cameras have incorrect white balance so this, I imagine, is going to become a very popular filter. If the automatic adjustment is not satisfactory, you can tune the filter by manually selecting a region of the image that should appear gray. 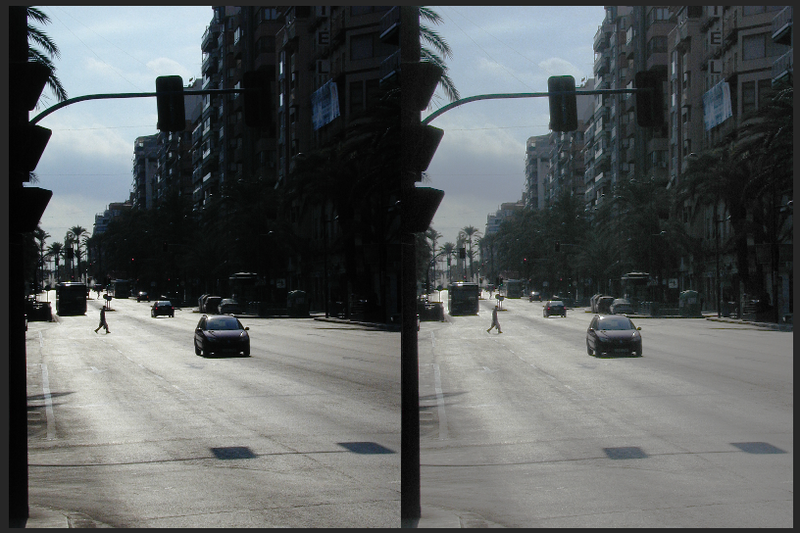 A regular problem when restoring CCTV Images is finding the balance between recovering illumination but retaining detail. This filter overcomes this challenge by enabling you to separately adjust the contrast in both the high and low frequencies. A weird name but, again, I am of the opinion that this is going to become another popular filter. Uneven illumination can be hard to deal with and often people have to resort to selecting specific areas and applying filters to just those parts. Retinex is an automated filter that detects the ranges in the image and automatically increases the levels in the darker areas. 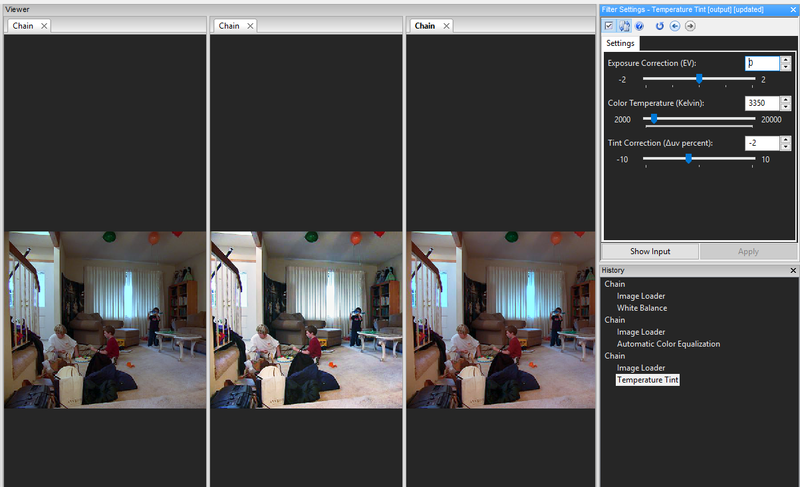 The Iterations slider enables you to select how many times the filter is applied. More iterations mean a higher contrast but can introduce halos around the sharp edges. Another automated filter that does what its says! There are two methods; DCT, as used below, and DFT (Discrete Fourier Transform). DCT will usually produce a higher quality result but may take slightly longer to process. On a good spec PC though, this difference is negligible. 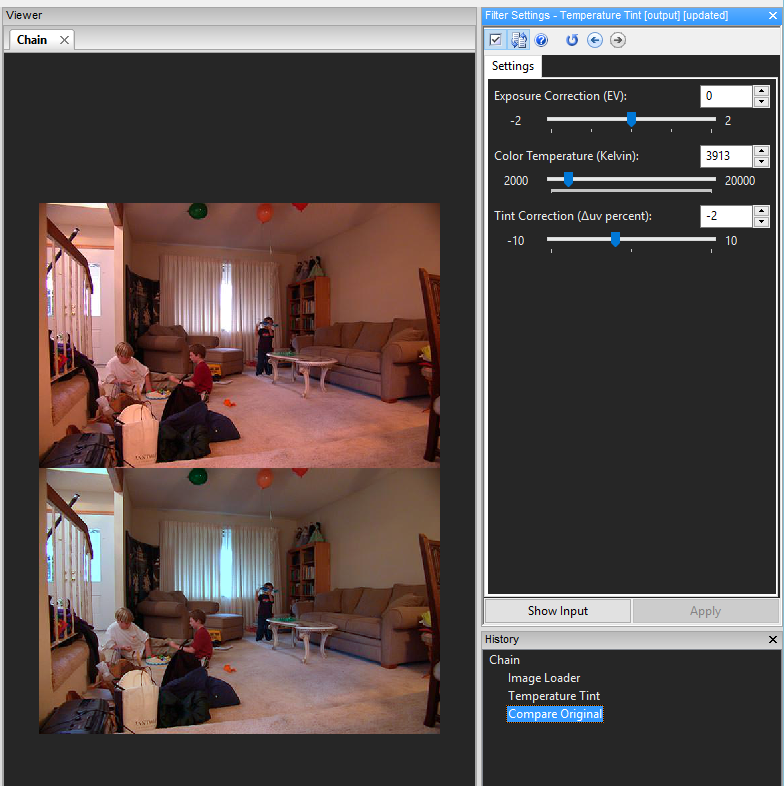 The strength slider adjusts the filters effect. Before I move on, it’s worth stating that these new additions bring us to 14 adjustment filters. Understanding the filters, and then correctly identifying the causes and effects in an image, will assist you in identifying which filter to use. 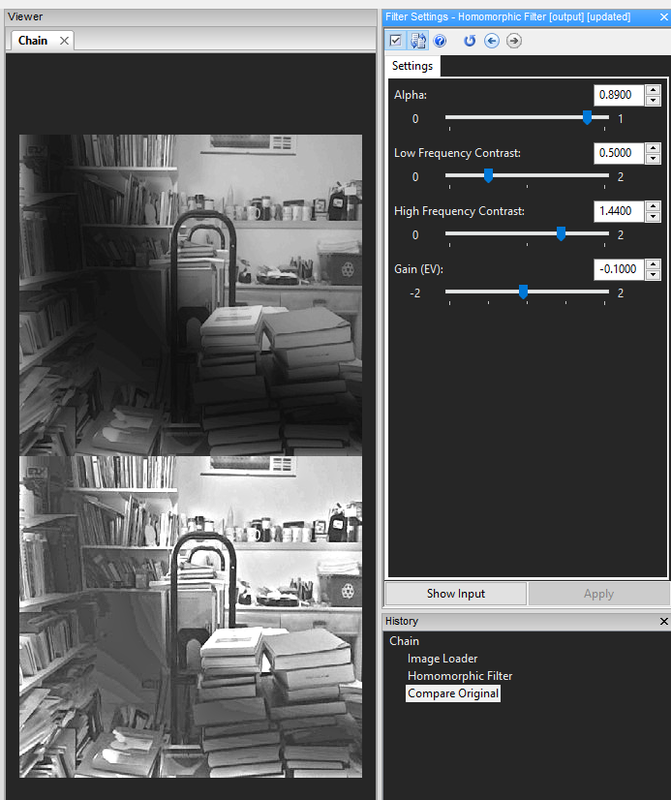 Even if you are torn between two or three possible restoration filters, it only takes 10 seconds to try all three and make a visual comparison. 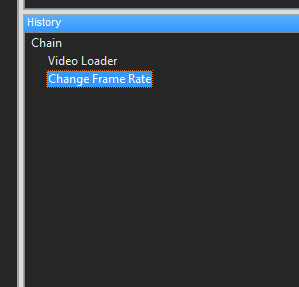 Although the Change Frame Rate Filter has a number of preset options, the ability to add in a specific frame rate is also possible. The filter has now been updated to allow values less than 1. There are a few systems that record JPEGSg’s at a very low frame rate so that this new functionality will be of great assistance. 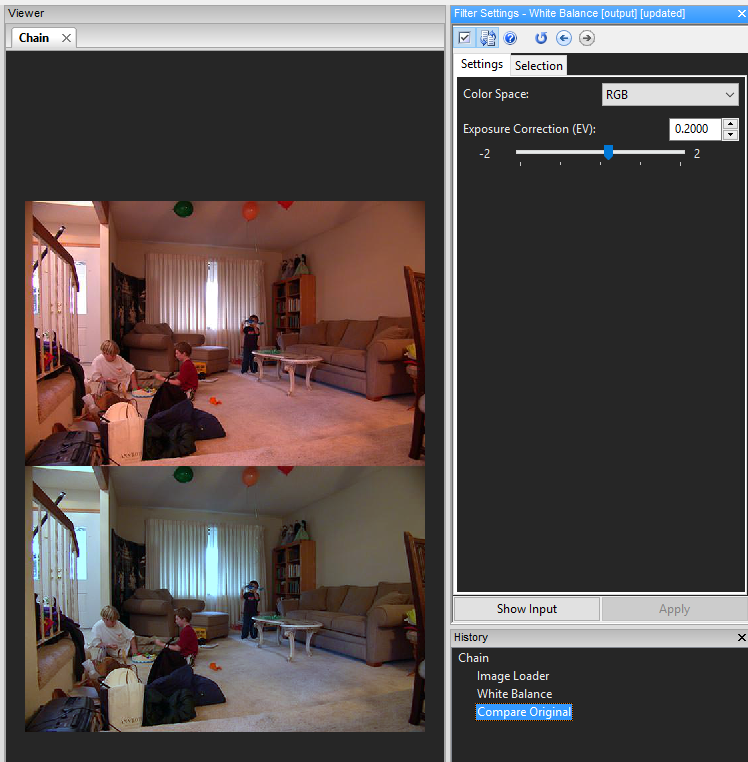 A very popular and commonly used filter; there have been many key enhancements to improve its functionality. The first change you will notice is under the “Output Selection” tab. There are now two buttons to assist you in some automation. 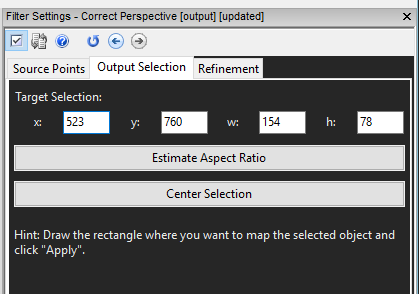 The first automatically corrects the “Output Selection” based on the aspect ratio of the original points. The next button centers that area in the image. You can see in the next image that after selecting my area for correction, it would be very “squished.” By applying the two buttons, it has corrected the Aspect Ratio. 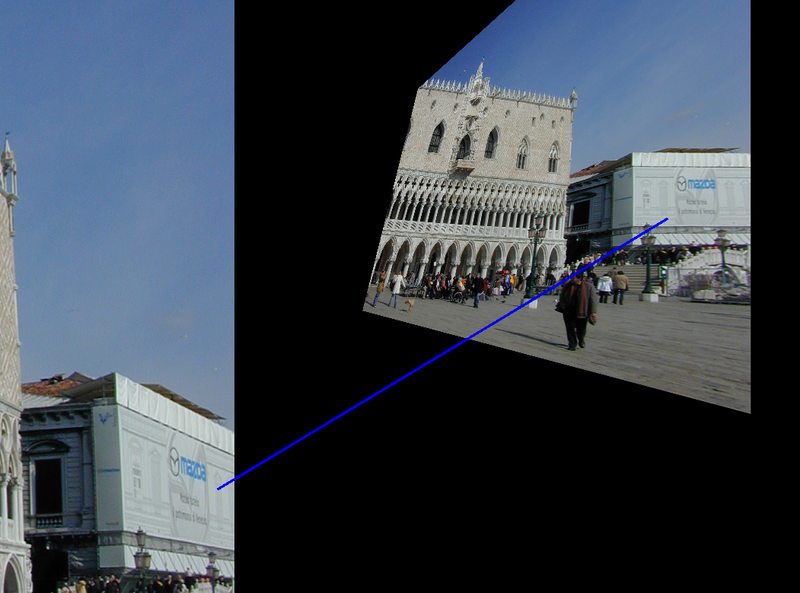 It is worth highlighting that for very oblique angles, the automated Aspect Ratio may give an imprecise estimation so a manual correction would be required. 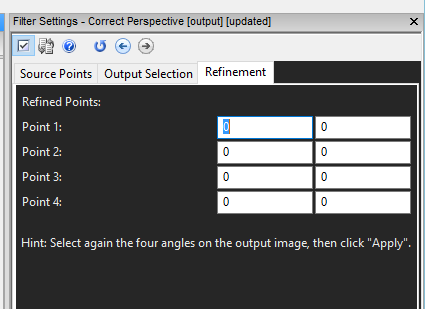 If your selected area was initially a little off, you could refine the four points after setting the output. This means that you can see your changes in real-time without having to go back and change the Source Points and Output every time. Simplicity is the key to Amped FIVE. If we can avoid mouse clicks or unnecessary actions, then that’s what will be done. You may remember this shortcut being added to a few filters in the last update. Well, it’s now been added to many more. Wherever you see the (U) shortcut next to the Add Selection, give it a go and see much faster your selections can be. All filters which support frame and location selections, such as static, dynamic and manual tracking now have the ability to utilize this shortcut. It really speeds up the selection process by using the keyboard and mouse together… with separate hands of course! What about the Program and Projects? FIVE’s unique ability to constantly record and evidence every process is built around a numbering system. These numbers are visible in the History window as Chain and Filter IDs. You may not want to see these in the project or your report. By entering the Program Options, you can now select to show this information, or not. Dealing with multimedia from various sources can sometimes mean that you have to move an item or change a folder structure for a specific purpose. If an Amped FIVE project used this file, it would not be found as Amped FIVE is looking at the original file path. 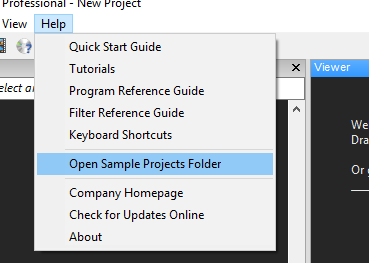 By selecting “OK”, you can locate the file that you have moved and, after selecting it the project, it will automatically update the file path. It’s worth saving the project straight away, in order to retain the path. Another useful hint is to always use the HashCode Filter with the file. If after relocating the file, the Hash-codes don’t match, the project will not run. This would suggest that someone has modified the file, or it has corrupted during the cut/paste moving process. We continue to ensure that every stage of your analysis within FIVE complies with all local and community guidance in Forensic Video Analysis. 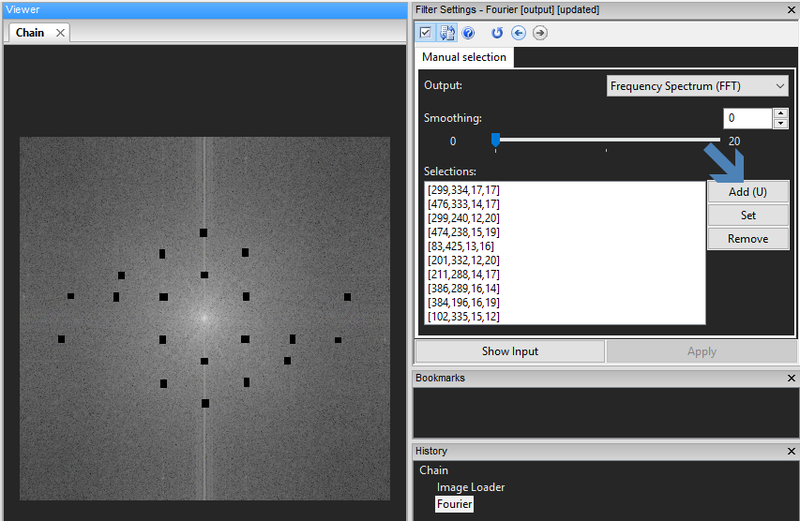 From the early days of FIVE, the scientific references for filters have been located in the Help files and the Report. To assist you further, for every book referenced, the ISBN number (that you can easily paste in Amazon or any other online bookstore to find the book) is now displayed. For all peer-reviewed web documentation, the web link is provided. Some users running Windows 10, but having a Non-Microsoft default browser, may have found that the Help documents stored as HTML files would not open. This annoying bug has been fixed so all the HTML files open in Internet Explorer. To avoid any loss of functionality and to ensure you can always get the latest updates, it is sometimes necessary to update your license dongle. The updating can now all be completed from within the Interface. Just go to Help > About, and the following box will appear. You will now see a new button called Update Dongle. This opens up the Dongle Information Tab and from here it will be possible to update the device if necessary. You will need to be connected to the Internet of course! Over the past 6 months, many new and exciting filters have been added to FIVE. To ensure you can test and learn these filters yourself, new samples are now included. After updating, go check them out… take a look at the Macroblocks filter, Aspect ratio, Interleaving or the Homomorphic filter. As always, you may spot some other smaller interface enhancements and for those people using a supported language, many translation errors have been fixed. 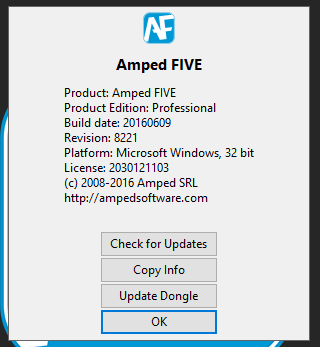 If you have an active support plan you can update straight away by going into the menu “Help” > “Check for Updates Online” within Amped FIVE. If you need to renew your SMS plan, please contact us or one of our authorized partners. This entry was posted in Announcements, FIVE, New features on June 14, 2016 by David Spreadborough.